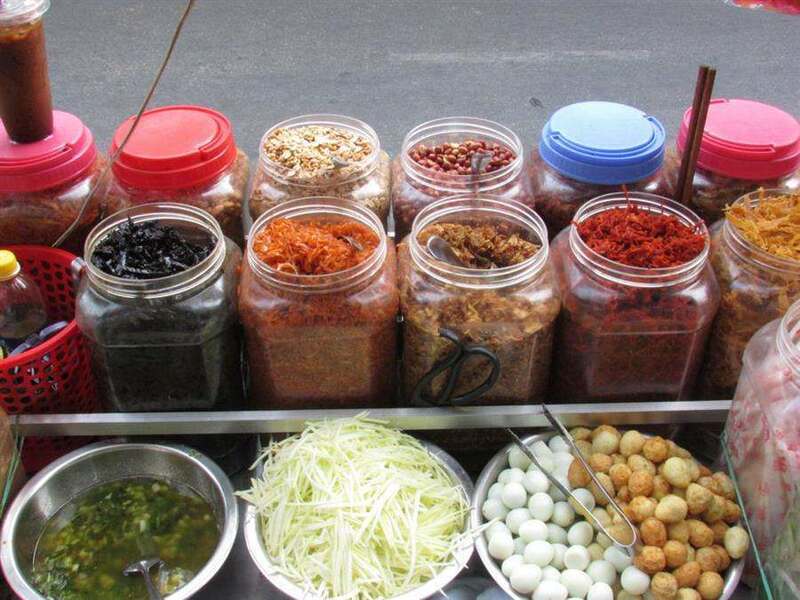 Saigon food guide — 4 fascinating Saigon food snacks you must-try - Living + Nomads – Travel tips, Guides, News & Information! Apart from the familiar traditional street food snack of grilled octopus and mixed rice paper, Saigon foodies are now attracted by “xoai lac”(mango mixed with chili and shrimp salt) and “cute” popsicles. 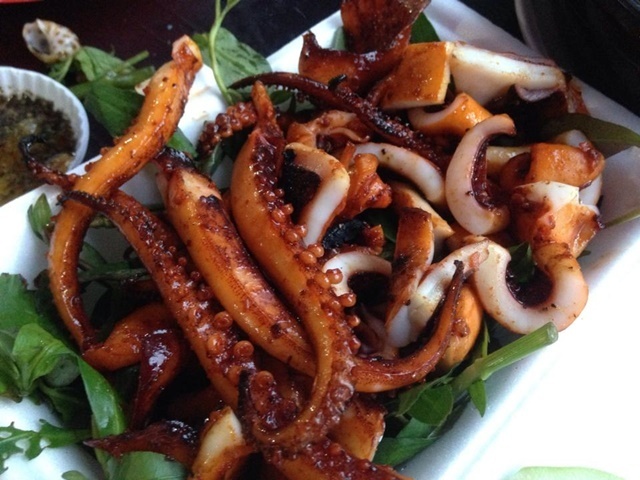 Often having by men over a few beers, grilled octopus became a popular snack for lots of young people. 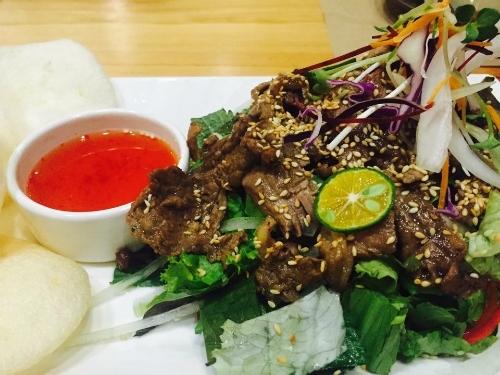 The most well-known area to enjoy this dish is An Duong Vuong Street in district 5. Before being grilled, raw octopus will be washed carefully and slightly cooked to remove its slime, then marinated with different spices. The main ingredient that decides the good taste is the spicy satay. Octopus will be well soaked in spices until they got ordered from customers. 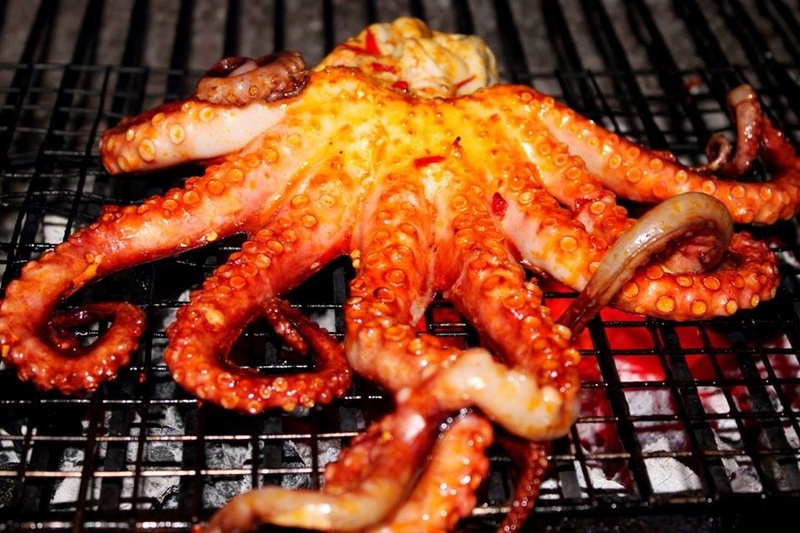 Octopus will then be grilled on charcoal until an irresistible smell provokes and invades your sense. The dish is even tastier when it is served with green chili salt with a squeeze of kumquat. The spicy taste of satay with a bit sour and salted taste of the sauce is a perfect combination. 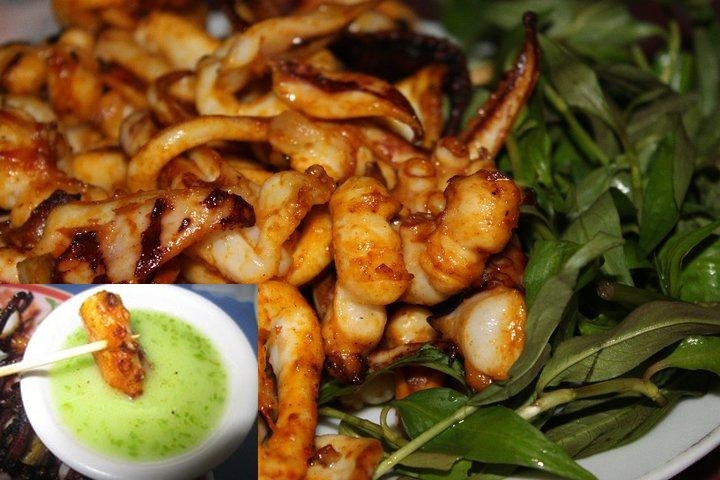 Besides octopus, there is also grilled satay squid which is also great. 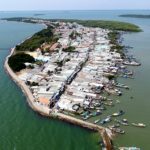 Indeed, nothing can be better now than enjoying a dish of grilled octopus or squid with a glass of sugar cane juice, iced tea or a bottle of beer. 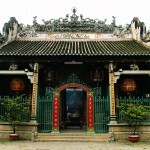 Where to find: The beginning of An Duong Vuong Street, district 5 (the area in front of Saigon University and Ho Chi Minh City University of Pedagogy). The stalls here open daily from 5 pm to 10 pm. 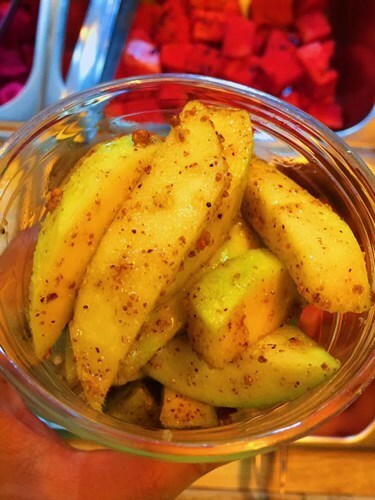 Mango is a very popular fruit in the south of Vietnam and shrimp salt is its specialty. 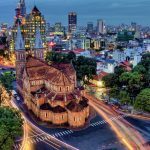 However, in the recent time, the combination of the two things above has evoked the curiosity of Saigonese and they all seek for a try. Xoai lac can be found on food cart. 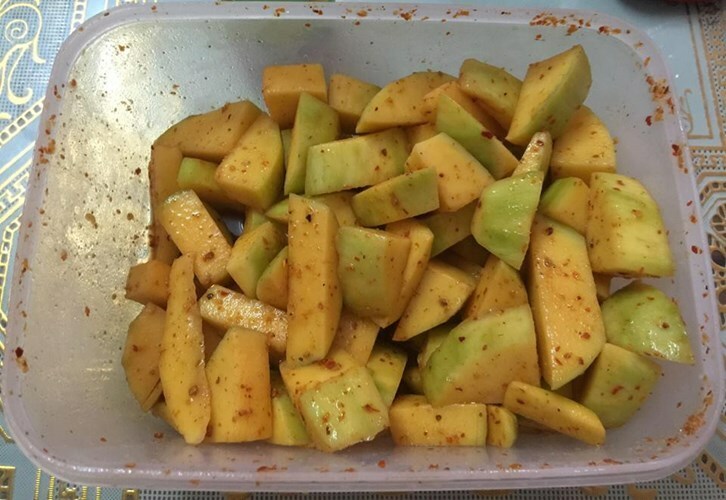 Mangoes are washed, chilled in ice to make them fresh and crunchy then put into plastic cup, added a bit of shrimp salt, sugar and fish sauce. The lid will be closed then well-shaked (the same as when you make milk shake). This dish is a harmonious combination between mango dipping in fish sauce and mango dipping in shrimp salt. However, when being mixed like above, the ingredients are well-mixed, absorbed and cover the whole piece of mango that make the taste better. There is not any fixed place to buy this dish as they are sold on food cart. Buyers have to take time finding a place to buy it. “Xoai lac” is such a “hot” dish these days that there is always a long line queuing to buy it. 100 portions were served daily but they were sold out quickly in an hour. The owner sometimes had to give numbers to get people in order. 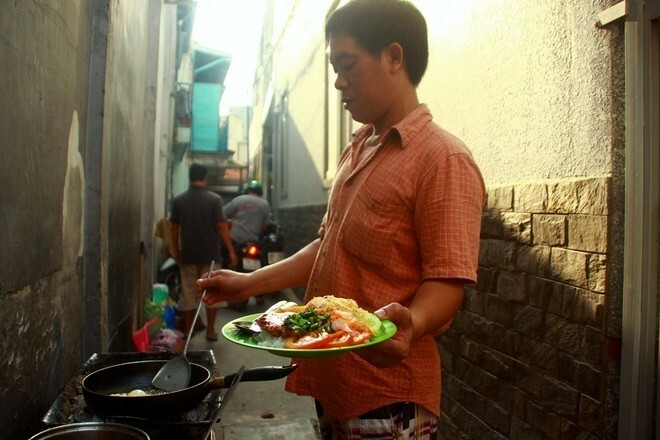 Where to find: Along Hoang Sa Street (district 1 and 3), open daily at around 1pm to 2pm. 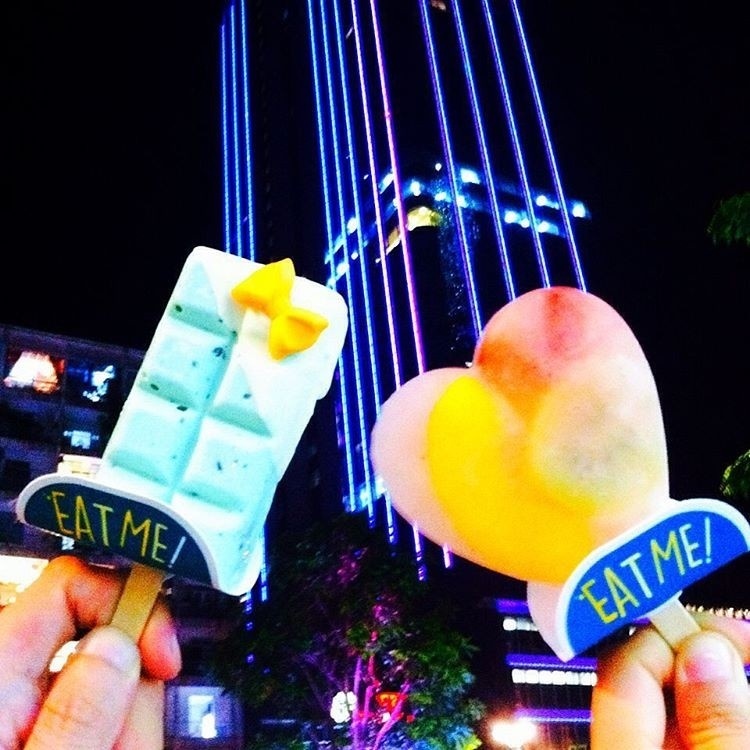 Became popular around September 2015, “cute” popsicles are one of the most favourite and desirable snack on the pedestrian Street of Nguyen Hue. The small ice cream cart on the side of the street is always full of customers. 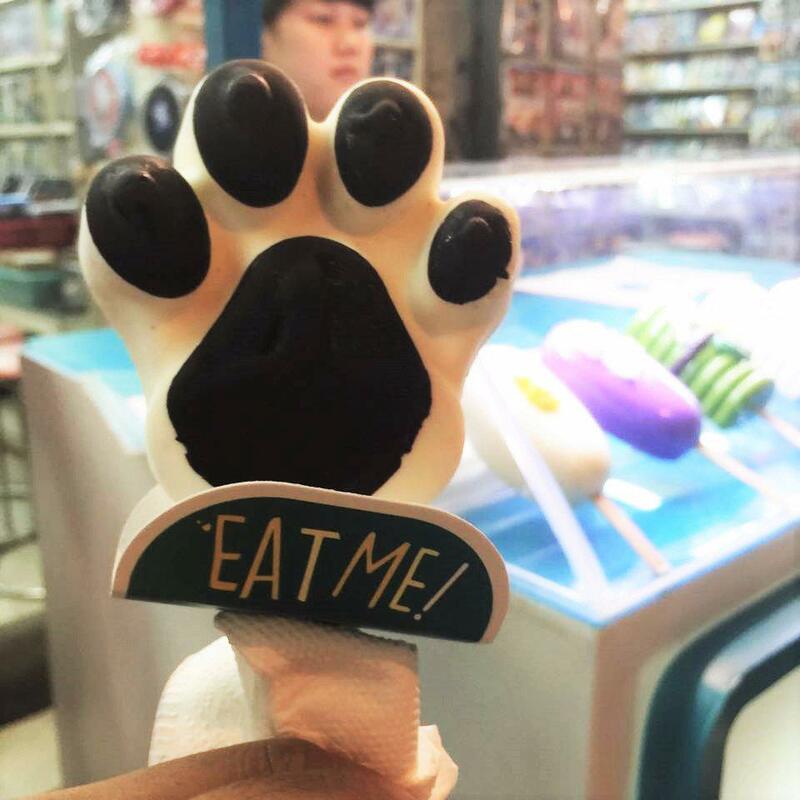 There are about 10 different types of Popsicle in different lovely shapes such as bear hand, heart, or a cute bird, etc. that can easily satisfy people who are willing to try new things, especially girls. Having a cute shape, however; Popsicle is easily melted especially in hot days. Therefore, one should be finished quickly before it is all melted down. Creamy vanilla popsicle with nice light smell; green tea popsicle with slightly bitter taste; chocolate, mint, strawberry flavor popsicles all bring their very own taste. 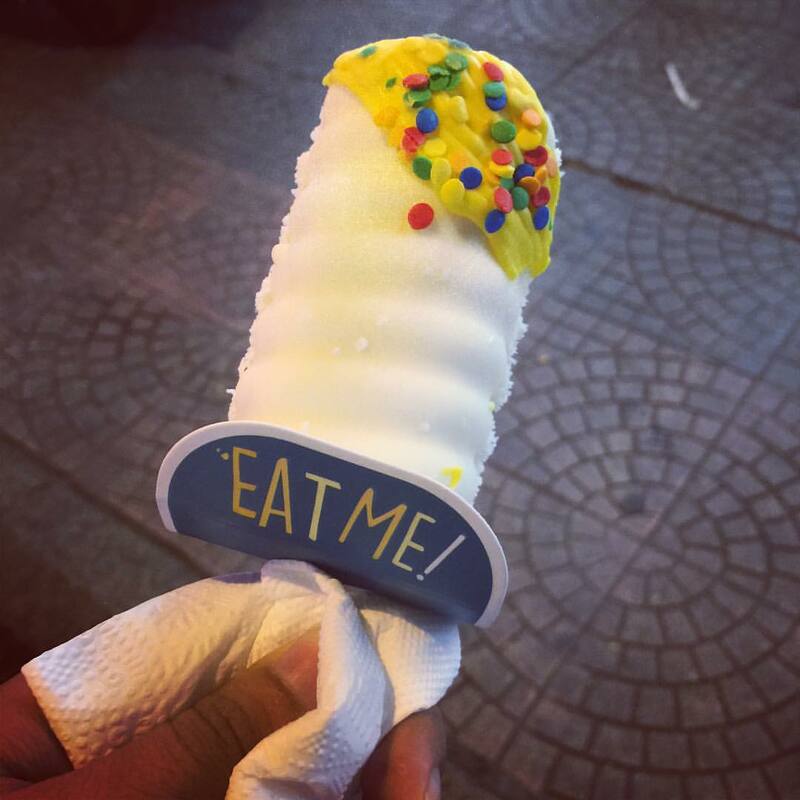 However, this popsicle could be too much for people who are not sweet tooth. 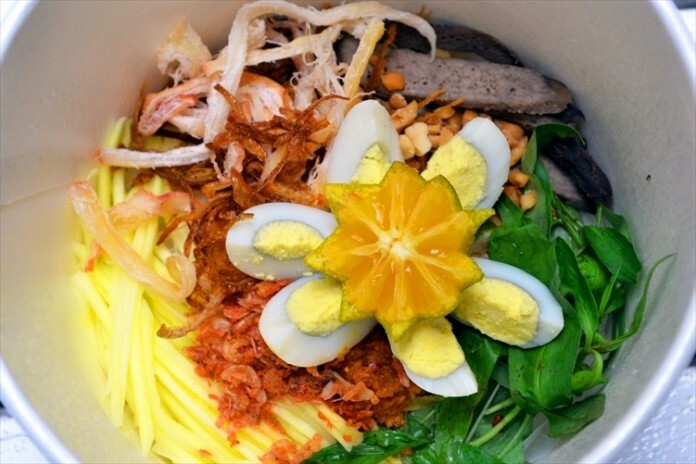 It is not difficult at all finding a good place selling mixed rice paper in Saigon; but when it comes to this dish, you should not miss the street of mixed rice paper Nguyen Thuong Hien. The special point of the shops on this street is the cleanliness. The staffs use gloves and the rice papers are professionally mixed by machine. 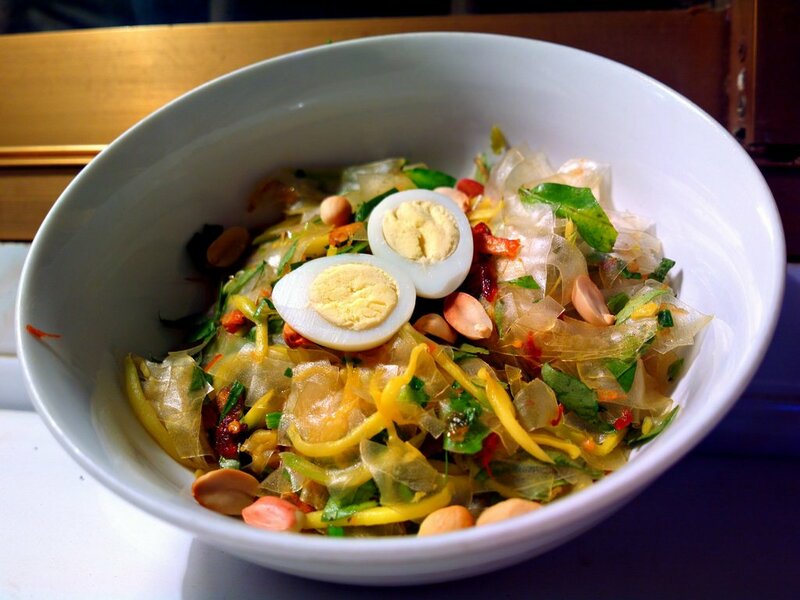 Like many other shops, rice papers are mixed with black dried beef, yellow dried beef, chopped mango, Vietnamese coriander, peanut, satay, quail egg, spring onion oil, and beef sauce. The difference among shops is the beef sauce. The very own processing way of each shop to make their beef sauce will result in their distinct flavor of mixed rice paper. Due to the narrowness or the road and the heavy traffic flow, a lot of shops in this street prepared mixed rice paper in advance in portion to avoid guests from waiting long. 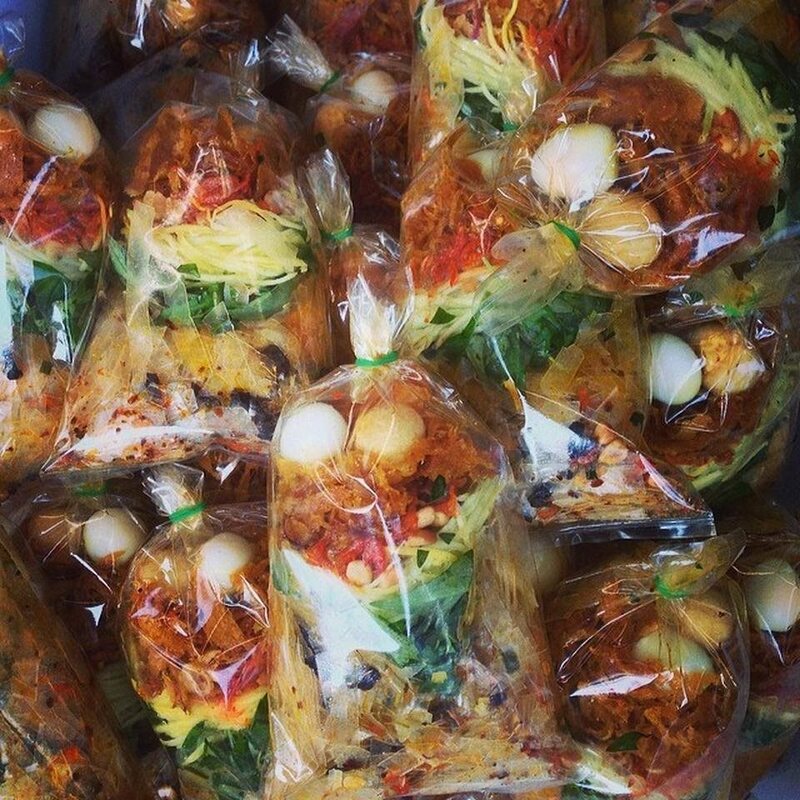 Apart from that, there sold numerous types of rice paper such as rice paper with tamarind, rice paper with chili salt, rice paper roll, etc. at a very reasonable price. 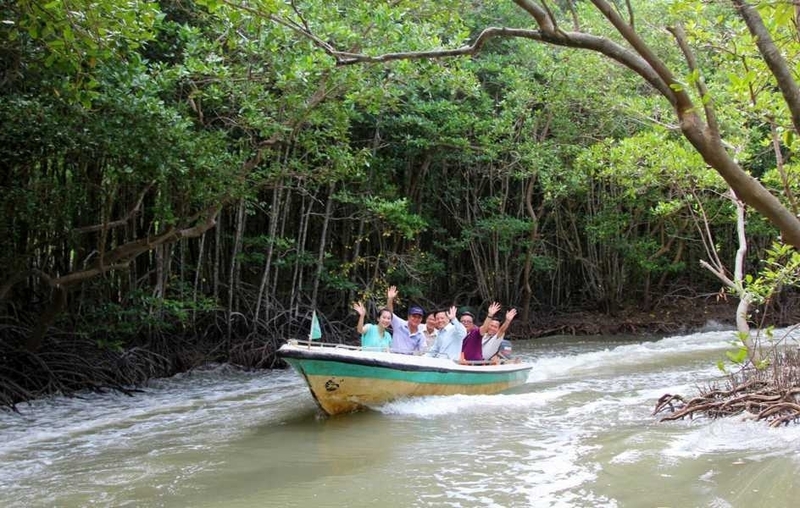 Where to find: The beginning of Nguyen Thuong Hien (where it crosses Nguyen Thi Minh Khai), district 3. Open daily around 2 pm. 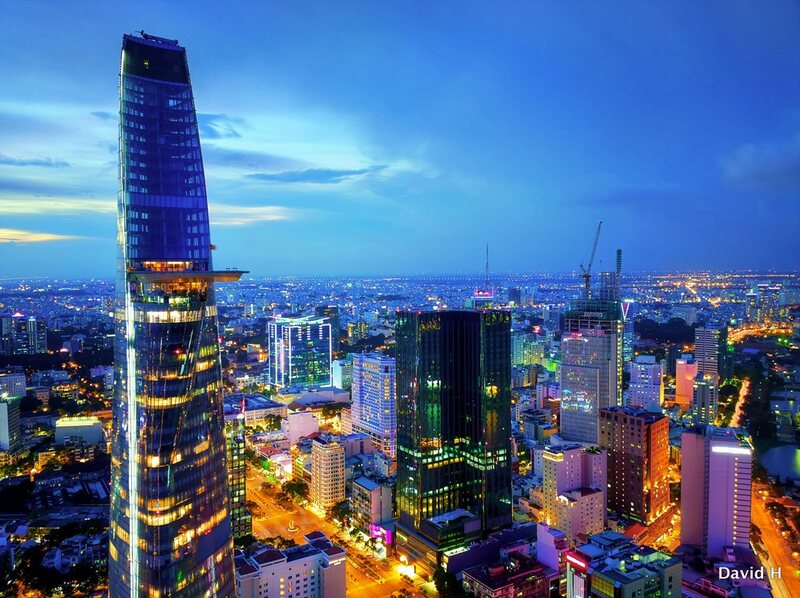 You also see more Ho Chi Minh City travel guide at here. 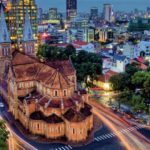 Vietnamese girl enjoys travelling the world, learns about different unique cultures and cuisine.